aka Operation Kid Brother, aka O.K. Connery. "NEIL CONNERY IS TOO MUCH" "Such close friends. Such beautiful enemies." The evil organization Thanatos, staffed primarily by a horde of young scantily-clad women who for some reason follow a middle-aged bald guy, threatens the world with their machine-breaking superweapon. It's just another Thursday at Secret Spy HQ, which by the way is staffed by a number of familiar faces. But the usual secret agent sent to solve these issues, you know the one, can't make it, so they recruit his plastic surgeon brother, to save the world. Fortunately, he's pretty much omnipotent. This movie is overflowing with weirdness, and it's another great episode. Example 1: it's scored partly by Ennio Morricone! Example 2: they got M (Bernard Lee) and Moneypenny (Lois Maxwell) from the Bond movies to play similar roles with different names! Example 3: The Thanatos girls. I mean, have some self respect ladies. This episode has one of my personal favorite host segments, Joel's "I Know" sketch. YouTube (1h35m) Premiered September 11, 1993. Directed by Alberto De Martino. Written by Paolo Levi, Frank Walker, Stanley Wright and Stefano Canzio. Starring Neil Connery as "Dr. Neil Connery", Daniela Bianchi Daniela Bianchi, Adolfo Celi, Bernard "M" Lee as "Commmander Cunningham" and Lois Maxwell as "Max," among others. There are just four Joel episodes left: 509 THE GIRL IN LOVERS LANE, 510 THE PAINTED HILLS, 511 GUNSLINGER, and 512 MITCHELL. 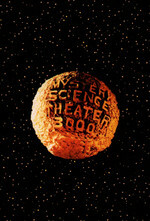 Our weekly showings are at 9 PM Eastern/6 PM Pacific at https://cytu.be/r/Metafilter_MST3KClub, Thursday nights. I hope you can join us! We have an updated Club FAQ! Repeat to Yourself It’s Just Lego! Available for voting at LEGO Ideas. The other Real Bond actor slummin' it here, Adolfo Celi, played the similarly-villainous Largo in Thunderball. What's strange is that he's way more invested in his performance as the villain here than he was in Thunderball. "And, when you deplane in Malaga, you'll be greeted by Manfred Mann!" The scene with Celi swaggering around the yacht around the woman (the one that Joel parodies).... I think I could watch it for hours. Looks like 5 Bond crossover people in this one. I wonder what they thought about it? I'm gonna guess they thought "paycheck time"... and also probably "I get to go to Italy, and they got all that really cheap wine, it's about thirteen cents a bottle..."